This week’s first survey saw us head to Bristol and a newly-refurbished modern studio space that is home to a number of independent retailers, start-ups and established businesses. A property we have previously surveyed following an acquisition, we returned to measure a newly-installed split on one of the floors for an incoming tenant. The building had a very distinctive 'banana' shape which required observations with a total station rather than a simple disto survey. Given that we recently surveyed the property we just needed to collect data for the new partition walls and check for any other changes across the curved floorplate. Once the survey had been completed we made the sunny journey home to process the day’s measurements and update the existing IPMS 3 Office reports ready for delivery to the client. 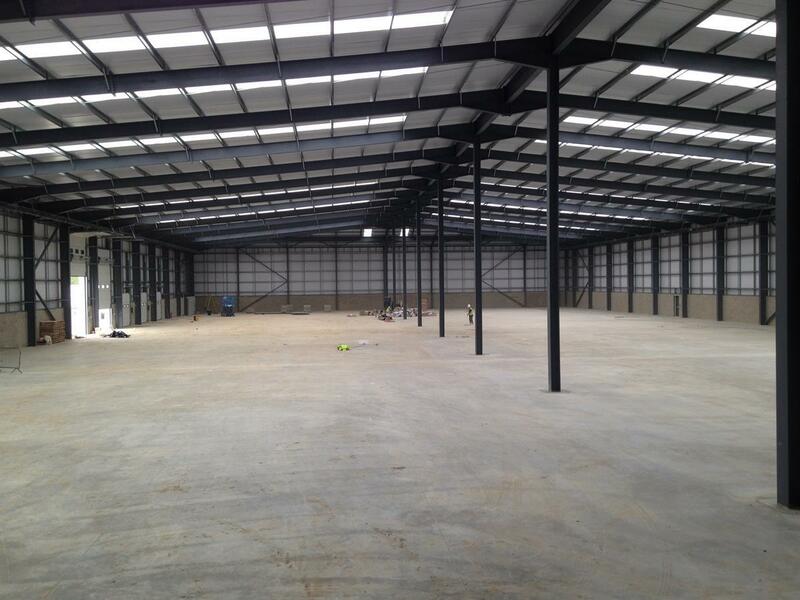 Our next site visit took us across to the other side of the country, this time a newly-constructed industrial unit in Essex. This project came up at short notice, so we had to be quickly mobilised to prepare the spec, H&S risk assessment and equipment required for the survey. 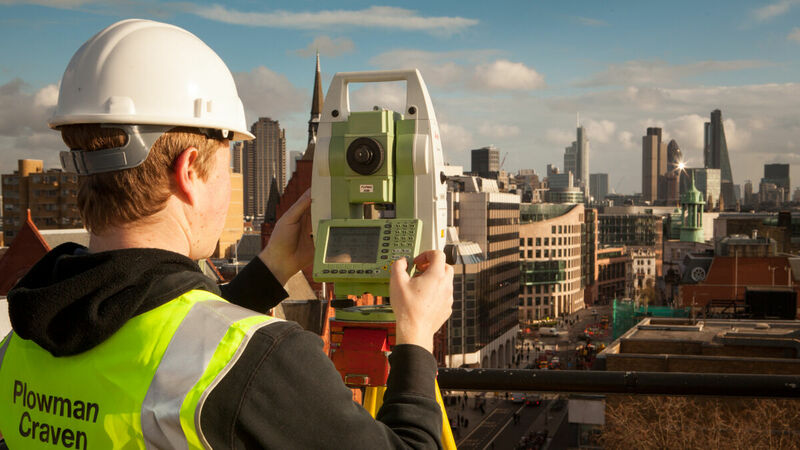 Due to the sheer size of the building, a total station was used so we were not relying on the handheld laser disto to try and take 120m distances. We could achieve much more reliable observations over these distances this way. Back in the office we processed the day’s work ready for the usual quality checks and GIA report delivery. The next project was a property in Central London for a regular client. The urgency was very high which meant security checks and resourcing had to be actioned quickly. 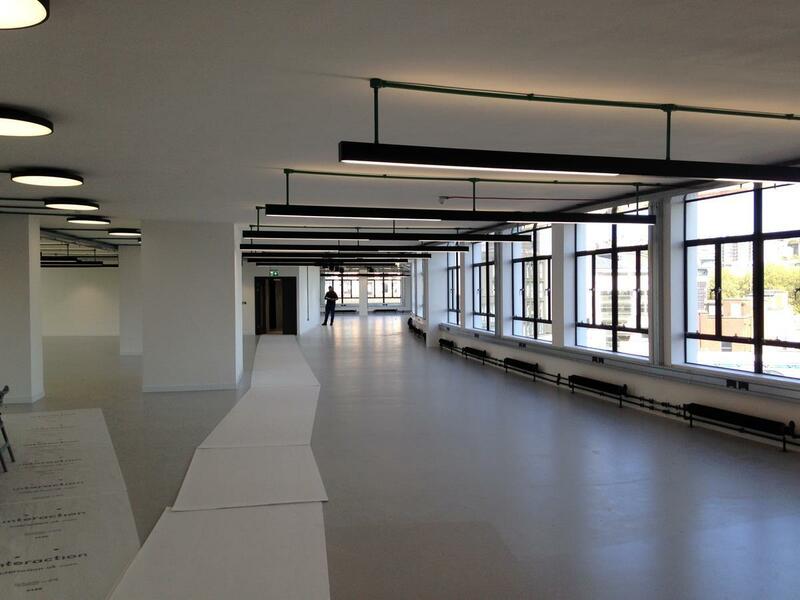 The survey of the six-storey building was much like a typical project, with NIA, GIA and IPMS3 required. The top two floors had a mansard roof, which meant that measurement of the internal sloping wall was required to calculate the 'Restricted Headroom'. This area would ultimately be excluded from the internal area calculations, so it was important to capture accurate information of this space. At the end of the day I was able to hand over the project to another surveyor, Liam, updating him on progress and advising of any H&S requirements. I spent the next day processing the notes from site into AutoCAD, preparing the schedule of areas and updating the team ready for Liam's additional information. Much to the delight of the client, the area report was delivered ahead of schedule. After a relaxing week off I returned to the office to assist our Quality Assurance team with project sign-off. All projects undertaken by Plowman Craven are run through a quality control procedure to ensure that surveys are carried out to our high standard and that our delivery product remains consistent. In the Property Management team this consists of checking through the surveyor’s site notes and photographs plus ensuring the client specification has been met. Additionally, as all of our areas are calculated within AutoCAD, an independent check of quoted areas is carried out. Back on site with our new surveyors and this time the London landmark 30 St Mary Axe… better known as the Gherkin. This is a project we have been involved in for several years and return to periodically to calculate up-to-date areas as the floors get vacated, re-let, refurbished or divided. On this occasion a division had been created to split a floor for two incoming tenants. We were required to survey the new dividing wall between suites, as well as the newly-created shared circulation space. Obviously, there are difficulties involved with surveying a circular floorplate, not least trying to correctly calculate the true curve of the wall lines given the limited number of physical features to measure to. Thankfully we can bypass this by calculating areas within AutoCad. As we had conducted a full survey of the whole building before, we could also use historic data to assist us with the new survey. 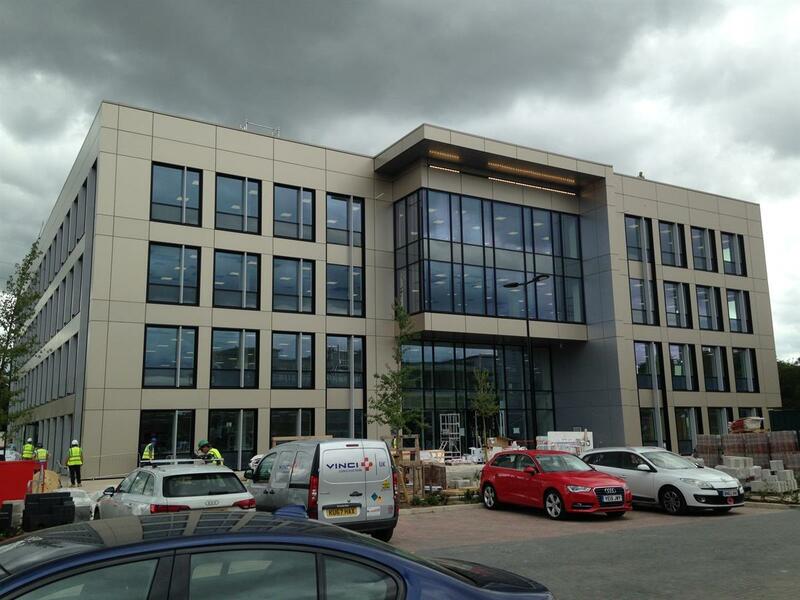 I was booked to survey a new 63,000 sq.ft.five-storey office building in Cambridge, along with one of our new junior surveyors, Pooja. We used this project to introduce her to TachyCAD, which is a piece of software that runs alongside AutoCAD. Rather than the traditional method of sketching with pen and paper, noting down measurements and then later processing into CAD, the software allows real-time data capture from the disto and total station. As the survey data is inputted directly into CAD via Bluetooth, the software eliminates the chance of error when reading and transferring measurements manually as well as speeding up the entire process. 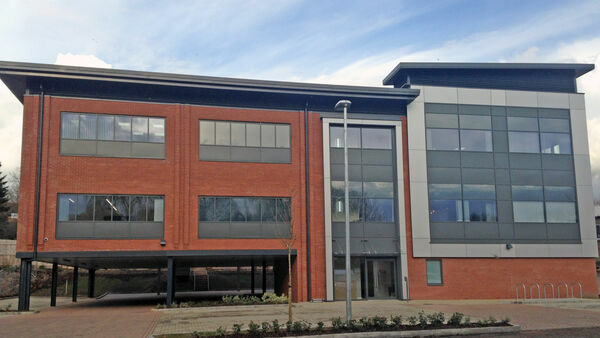 Typically, an NIA and IPMS3 survey property of this size would take two days onsite. Using this method, we finished all floors before the end of the day and delivered ahead of schedule. So that’s seven days in the life of a surveyor. Every week is different and you never know where you’ll end up working. Have scanners, will travel!